features Gurinder Singh Khalsa and his mother, Surjit Kaur Sandhu. INDIANAPOLIS - For too many people, it might seem to be a simple request. To Gurinder Singh Khalsa, it was an affront to his faith and forced him to make difficult choices between his lifelong religious beliefs and his family. This request, the choices he made, and the resulting Congressional actions are the subject of a new short film, "Singh," currently in post production in Indianapolis. 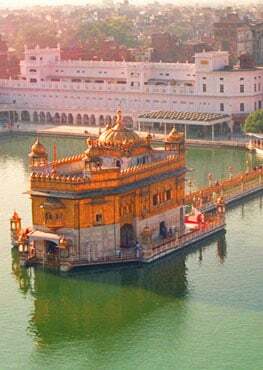 "It was 2007 and I was needing to fly from my home in Buffalo, New York, to visit my sick mother in Sacramento," said Khalsa, SikhsPAC Chairman and community leader in Central Indiana. "As I went through the TSA's security screening, the agents asked me to remove my turban. I refused. In the Sikh culture, the turban is a cherished article of faith which cannot be removed in public. "We are a peaceful people with a belief system based on honor, integrity, justice, and helping our fellow man. Sikhs will do most anything that is fair and ethical to serve our communities," Khalsa added. "But as with all religions, there are sacred traditions that we cannot and will not violate. Wearing our turbans is among the most sacred traditions we observe." Khalsa found himself in an almost unresolvable dilemma. How would he choose between adhering to his strict religious beliefs and painfully forgoing those beliefs in order to visit his ailing mother thousands of miles away? 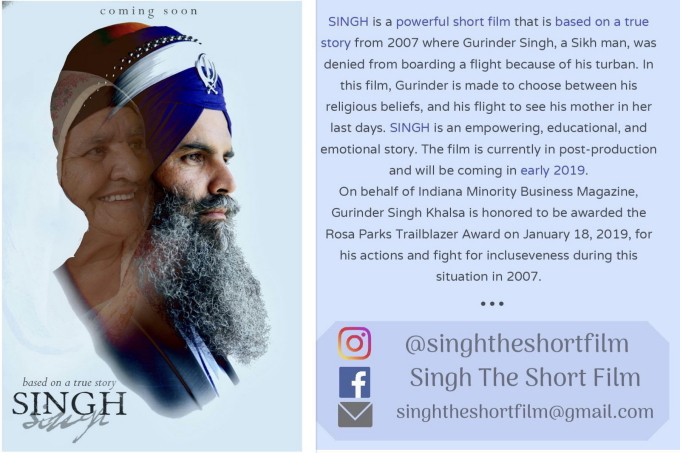 "The new film, titled 'Singh', explores how Gurinder faced this challenge, creatively found a short-term solution that did not go against his religious beliefs, and worked to achieve a long-term solution that affects countless people each day," said Jenna Ruiz, director of the film. "It's one man's real-life story. But more than that, the film will shed light on the true vulnerability and fear that comes with being racially profiled and what it is like to be made to choose between religious beliefs and everyday life." The film will also serve as an introduction of the Sikh religion to many of its viewers. "I plan to use this platform to educate people on who the Sikh people are and who they are not, while washing away stereotypes and negating the unnecessary fear that many people have regarding turbans and other articles of faith," Ruiz said. "I hope that the audience will leave this film with a newfound love and respect for not only the Sikh religion, but for people and beliefs that are different from their own." Khalsa added that "people fear the unknown. Our hope is that this film and my story will encourage people to gather information, ask questions, and speak openly and honestly about issues of faith and community. That's how we, as Americans, will overcome racial bigotry and defeat religious persecution." So how did Khalsa address this incident, both at the time and during the following year? Spoiler Alert! Immediately after reaching the impasse with the Buffalo TSA agents, Khalsa drove to Toronto and caught a Canadian flight to Sacramento so that he could visit his mother without compromising his faith. Within the following year, he worked tirelessly to get petitions signed, presented those to Congress, and saw the strengthening of regulations to require reasonable accommodation of religion and articles of faith throughout the national security system and society. 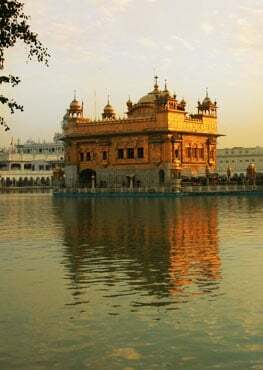 "Whatever happens, happens for the greater good," Khalsa concluded. "Incidents like this one, where misunderstandings occur between people of different backgrounds and faith, strengthen our society. In my case, this situation helped me become stronger, made me more resilient, and provided guidance to me as I strive to best serve the Sikh people and everyone in our great country." "Singh" is scheduled to be released by January 2019. Statement from Indiana Minority Business Magazine: "For over a decade, Indiana Minority Business Magazine has honored those who have exhibited the true meaning of diversity in their respective fields, through their outreach, or have broken racial or gender barriers in the hiring practices. The Rosa Parks Trailblazer Award is one of our three highest honors. Due to your tremendous efforts to help launch new laws prohibiting TSA agents from touching traveler's turbans, we are pleased to present you with this award." Rosa Parks Trailblazer Honoree: "In recognition of your honor, you will be presented with a special Champions of Diversity plaque during the 2019 Champions of Diversity Awards Dinner. The event will be January 18, 2019 at the Hyatt Regency Hotel in downtown Indianapolis. Our networking reception begins at 5:30 p.m. and the awards dinner begins at 6:30 p.m."